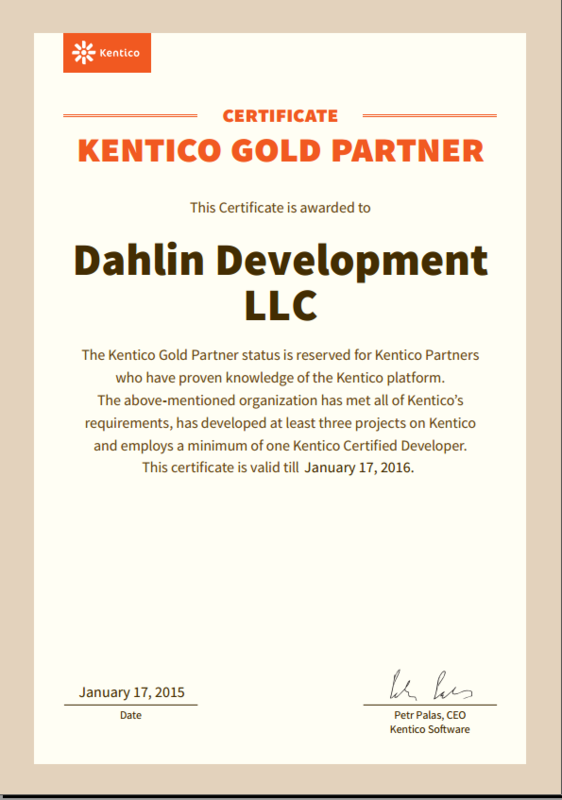 Once again we've acheived Gold Partner status with Kentico. We have a staff of certified devs too. Let us prove our chops and work with you, contact us today. Learn more about what Kentico is on our Kentico CMS Development page.